Watchdog group The Sunlight Foundation analyzed 10 million lines of data–and discovered trillions of dollars missing from our federal spending database. The Obama administration is committed to transparency, at least in theory. To track the mountains of cash we’re spending on contracts, wars, programs, initiatives, and stimulus packages, the government launched USASpending.gov, a tool designed to help the public understand where our tax dollars are heading. And where is all that federal spending going? 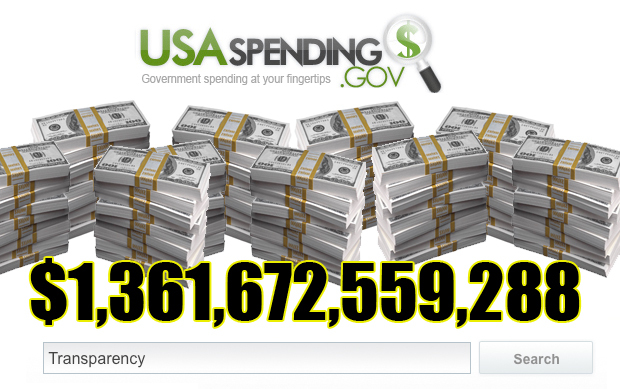 Not to USAspending.gov, where an estimated $1.3 trillion worth of data is missing or wrong. If only there were a website for tracking cash missing from the cash-tracking site…. According to Ellen Miller, director of D.C.-based watchdog the Sunlight Foundation, the federal spending database is missing more dollars than the U.S. deficit. Speaking at the Gov 2.0 Summit this morning, Miller told audience members that after analyzing more than 10 million rows of data to other sources, Sunlight discovered that “broken reporting” accounted for $1,361,672,559,288 of missing spending in 2009, showing that USASpending.gov is anything but reliable or complete. To combat these widespread issues, Sunlight today launched ClearSpending, a site that analyzes how well government agencies are reporting their spending data on USASpending.gov–a fact-checker for the fact-checkers. ClearSpending will offer the public a system to assess federal spending in key areas: over reporting, under reporting, non-reporting, and late or incomplete filings. If the Sunlight’s new program works, it will shed new light on spending and bring improved transparency to the government, which normally just wastes millions on tools that are more “style than substance,” as Miller phrased it.